The Motorcycle Views Forum is a gathering place for motorcyclists riding all brands of motorcycles. Our knowledgeable and experienced members are always ready to assist newcomers to learn more about motorcycles. 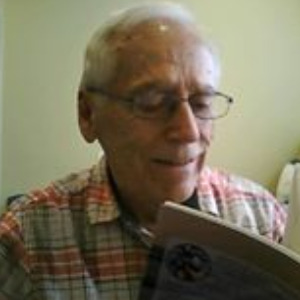 This forum is part of the Motorcycle Views Web site run by Walter Kern. The Motorcycle Views Forum is a gathering place for motorcyclists riding all brands of motorcycles. Our knowledgeable and experienced members are always ready to assist newcomers to learn more about motorcycles. This forum is part of the Motorcycle Views Web site that can be reached by clicking the Webpage tab, above. The Motorcycle Views site contains articles, features, and links to all aspects of motorcycling. I also have a Motorcycle Views Blog that I use to comment on motorcycling. The blog can also be reached from any page on the main site. I have restarted my FREE Motorcycle Views Newsletter that I use to give you up-to-date information on additions to the main site. Click on the link to subscribe. 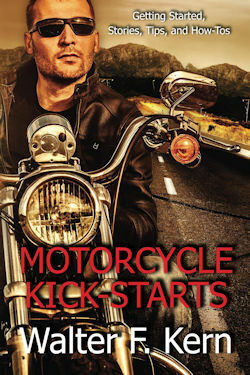 Check out my fourth book, Motorcycle Kick-Starts. It's inexpensive and a great book for new or seasoned riders. It also makes a good Christmas gift. Please remember that the Motorcycle Views Site, Forum, Blog, and Newsletter are all independent of each other but each carries the Motorcycle Views name, so don't get confused.